2018 FIT Gala @ Cipriani 42nd St. 6:30 pm to 10:00 pm, Cocktails at 6:30 pm; Dinner at 7:30 pm. 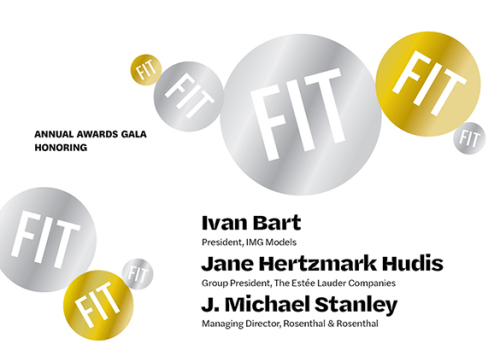 Each year FIT and the Fashion Institute of Technology Foundation draw together leaders and luminaries from the worlds of business, fashion, music, design, art, and culture in support of FIT. One of New York City's most important fashion business events, it consistently raises more than a million dollars to help the college. It pays tribute to outstanding professional leaders each year. And it celebrates the strong connections between FIT and the fashion and design industries, ties that benefit our students throughout their education and careers.